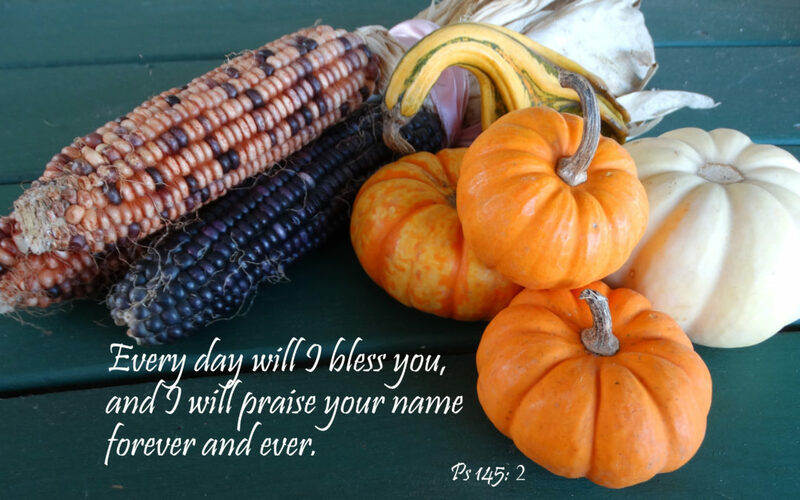 A Thanksgiving message from our Provincial Director Fr. Jeffrey Kirch, C.PP.S. There’s no day when we aren’t relying on God’s compassion and guidance, though sometimes we may be convinced we’re operating under our own head of steam. Then there are days when we are all too aware that without God, we’re not going anywhere. So we cry out: Lord, show me the way. work on time, we say thank you. Thanks can be the other side of the coin of pleading. We think it completes the circle of our conversation with God. Thanksgiving is a great day for me to reset my mind to that balance. What comes to us was sent by God. What we have to give to others was first given to us by God. God is present in the dawn and in the sunset, and in every minute in between. It’s good to take a day to let that all sink in. One of my favorite Thanksgiving memories is being with my grandpa outside in the cold as the turkey turned on a rotisserie on the grill. He was out there even in the rain, sleet or snow, making sure that the turkey turned out just right for the family. He didn’t expect perfect conditions. He worked with what God sent him. After he died, my dad continued the tradition. There’s a lot that I learned from that image: faithfulness, steadfastness, and a sense that all would be well. It’s how I hope I’m living my life, every day. And I hope it’s true for you, too.